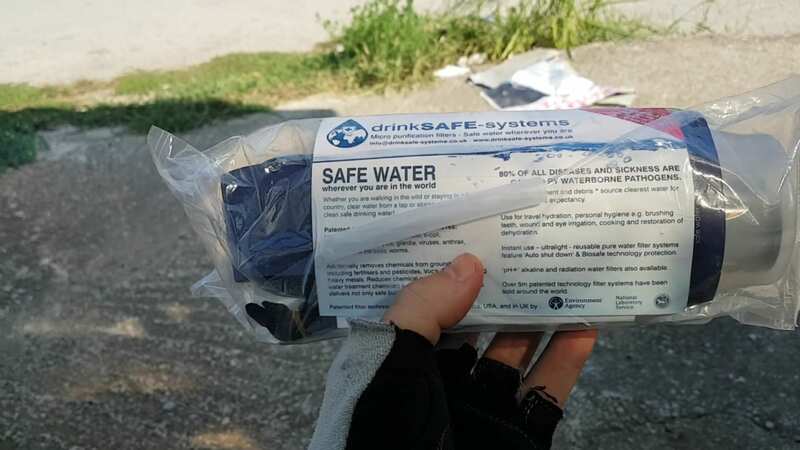 Are you thinking of using a travel water filter for bike touring? If not, you should! Here's 3 reasons why it's a great idea to use a water filter on your next bike tour. Travel filters have changed a lot over the years. When I first started bike touring, they were reasonably large and bulky objects. Today, ‘filter straws', steripens, water bottles with filter and pumps are available in any outdoor shop. Which water purifier for travel you use is going to be based on your own needs, budget, and even style of bike touring. This article isn't about how to choose a water filter. Instead, it's about trying to get you to use a water purifying filter for touring in the first place! 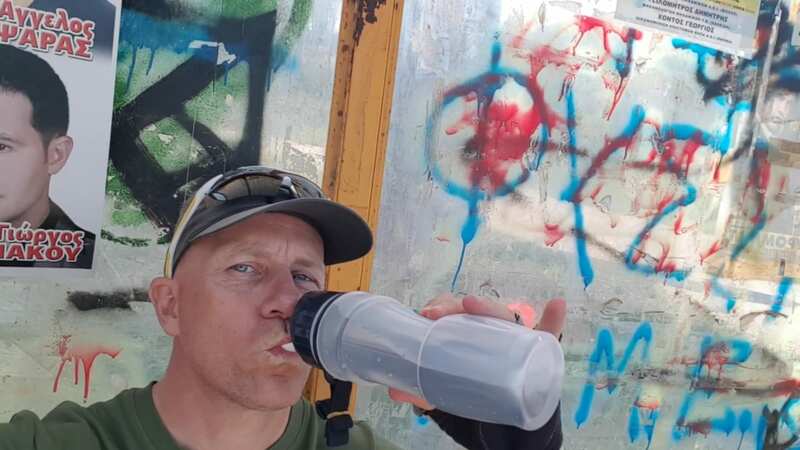 I think that every cyclist planning a bike tour should take a water filter with them, even if the tour is only for a few days. 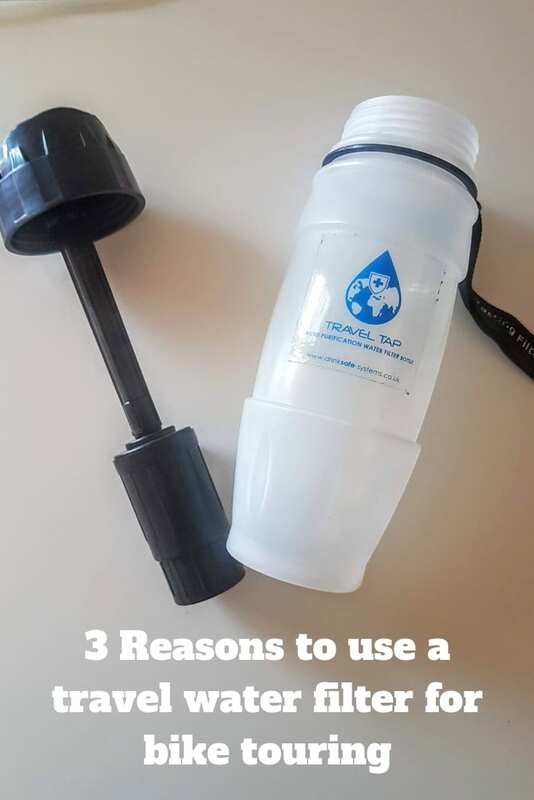 If you've not already decided to get yourself a portable water filter for bike touring, let me give you some reasons why! Ever dreamed of being able to filter water from streams and rivers as you wild camp? A portable water filter will allow you to do just that! With the right sort of filter, you can safely drink water from rivers, and some models even allow for water to be pumped out of puddles! Another big use for a travel water filter, and one that doesn't get mentioned much, is that you can also filter tap water. In some countries, the water that comes out of a tap isn't drinkable. If it is, perhaps the taste isn't that great. A portable water filter will also take care of that nicely for you. We're all looking to save money on a bike tour right? Having a water filter can do just that. All you need to do is work out how much you spend on bottled water during a tour, and you'll soon realise you'll get a good return on investment after buying a water filter for travel. In most cases, use the water filter 30 times or so, and you've broken even. Any more than that, and you're in profit! All it requires is that little investment up front, and the rewards can be enjoyed for longer. For this reason, I always tend to look at buying bike touring kit as an investment rather than an expense! You don't need to be a tree-hugger to realise that there's far too much plastic being used and thrown away carelessly in today's world. As a cyclist, you are probably more visually aware than most of the empty plastic bottles that roll around on the side of the road and in grass verges. A travel water filter is going to cut down hugely on the amount of plastic you use during your bike tour. Do the world a favour, and get yourself one! I will be backpacking the Grand Canyon this fall and the reports say that there is Arsenic in the water. What water filter/purifier would work at cleaning the water? It sounds like a fantastic place to do some hiking! In regards to your question – It’s not something I can answer, so I think it’s best to contact a water filter manufacturer through their help/customer service departments and ask them directly.